Stay and Play this morning was very messy! We scooped the seeds out of peppers and made some lovely little pepper "pumpkins". Our classroom smelt very peppery this morning! Here are some of our Pepper Lanterns! 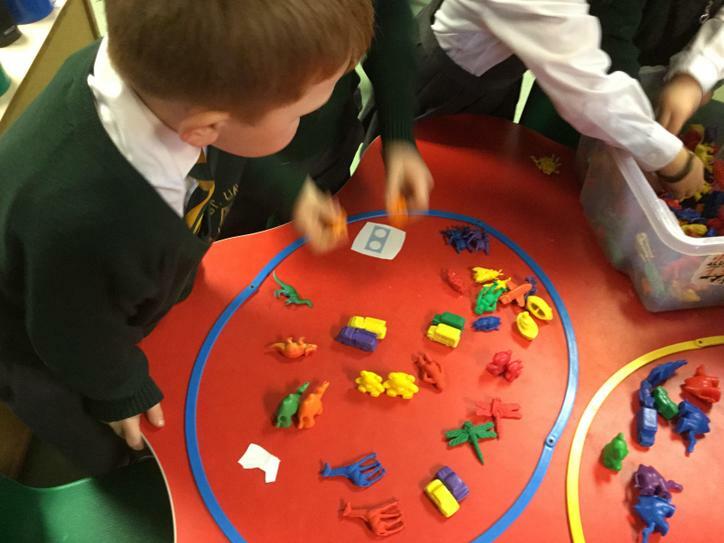 Today some parents stayed to join in the maths activities we were doing. 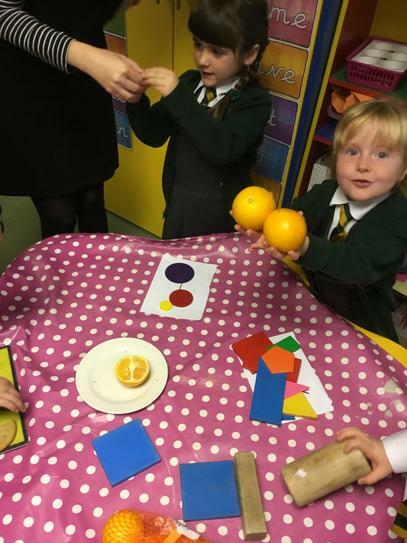 We have been exploring the number 2 and reasoned how an orange or a cookie with 1 curved side could be allowed to sit on the 2 table! 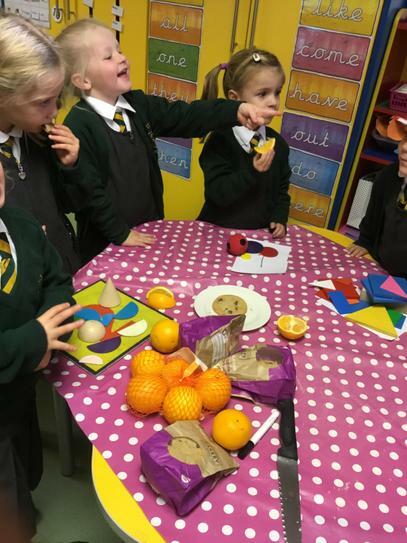 After lots of discussion, we worked out that we needed to halve them and we all sampled the cookies and oranges, which now had 2 sides - a straight/flat one and a curved one. 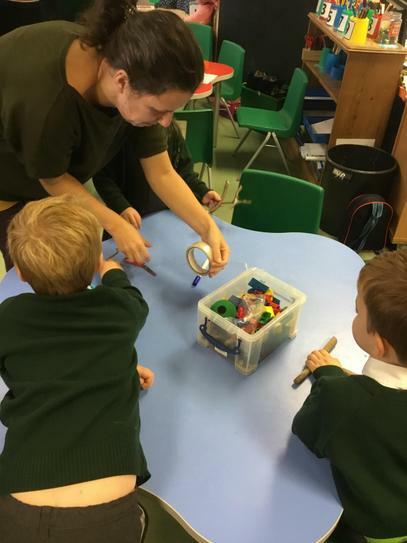 Following on from our Autumn Walk and a look at the story of "Stick Man" by Julia Donaldson, we made some stick men with the help of our Play and Stay parents. We also used the lovely coloured leaves to make some beautiful works of art. 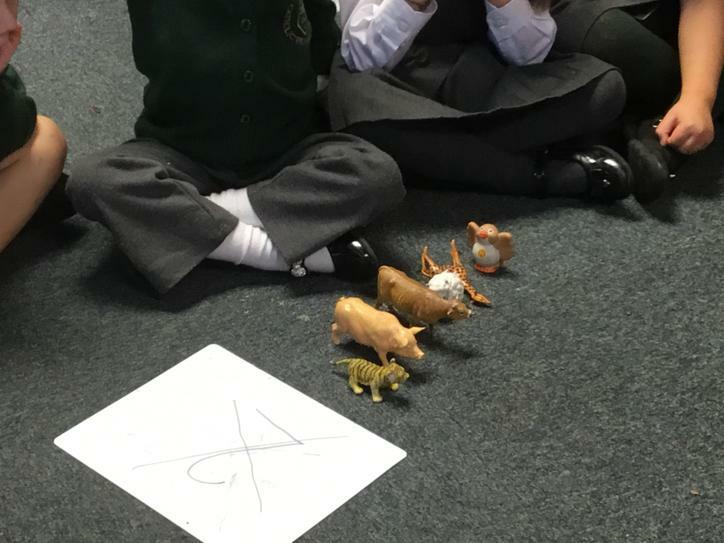 We have had our second play and stay session today. Thank you to our parents who came to join in today! 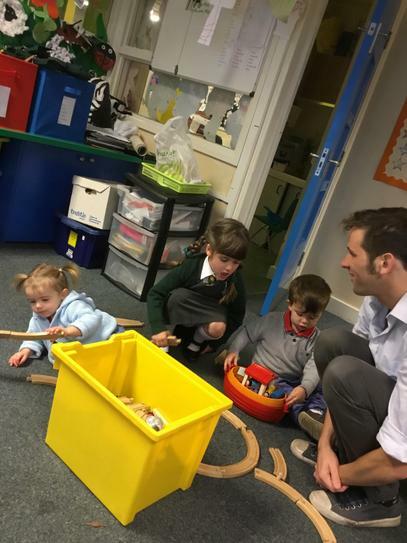 We held our first Stay and Play of the term this week on Friday morning. 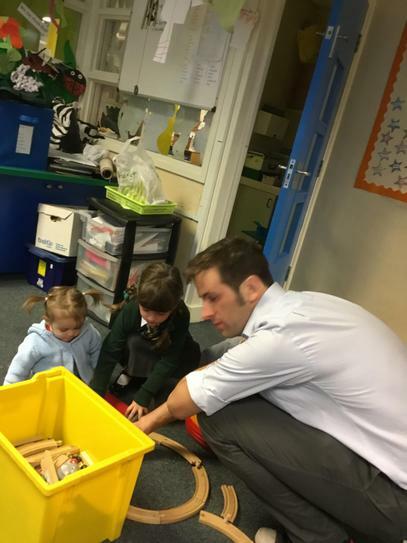 The children really enjoyed having extra adults to help them make their "Supertato"! Next Friday morning we are open to parents/carers again, and the week after that (Friday 5th October) we would like to invite any interested grandparents to come and play! Next half term we will change the time/day to allow for any other parents who would like to come and join in the fun!! !